Hey everyone! Today I have a gorgeous thermal polish to share with you! I get pretty excited to do single polish swatch posts lately, because that way I can really go overboard and into way more detail. 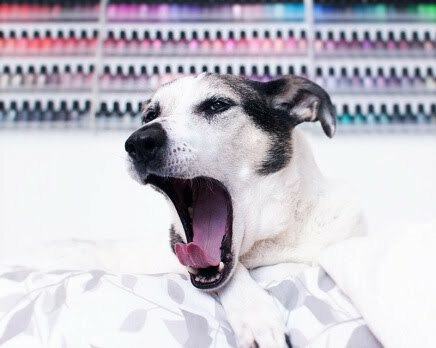 Let me tell you, this polish is so good, and I photographed it to death! I'm talking about Polished by KPT- Same Fall Different Beginning, which was originally released in last Fall's Paris & Me collection! Same Fall Different Beginning is a warm-sensitive thermal jelly base polish with dense, large gold flakes as well as very sparkly holographic microglitter. I think that there is gold shimmer too, but it's a bit hard to tell with everything else going on! The base color when cold is a deep berry plum, and transitions through variations of lighter mauvey-plum-cranberry as it warms up. The final warm state is transparent, and looks quite gold-neutral! I think KPT classifies this one as a "tri-thermal," since the middle state can be so varied. ^Those two photos show middle-cold state, but that's not the final cold transition- it gets darker plum than that! The next series of photos shows the transition from cold to warm. Cold/deep plum is the starting state, and you'll see a few images mid-transition, and finally, the golden transparent warm state! See how transparent it gets? Very cool! (Err, warm, actually!) The warm color is not especially flattering on my skin- it's a little too warm-toned. But, the mid and cool-state colors are, I think. This polish was very changeable on me! A lot of times it showed some version of the warm state the entire length of nail, and other times it would be mid-transition where my body temperature made the nailbed change color while the free-edge stayed plum with the cooler ambient air temp. Sometimes, it even showed the transition in reverse, showing the warm color at the tips and the cold color on the nailbeds! I must have been cold, not sure! I think I'll try this one again mid-Winter and see how differently it wears! The most dramatic and prolonged transition I saw with this polish was when I went for a morning powerwalk with the dog (I know "powerwalk"- UGH so middle-aged! I like it, OK?! ), and it was cool- 64°F with high humidity- but as my body temperature rose, I saw the warm transition color on the nailbeds and very cool transition plummy color on the tips. So awesome, and it stayed like that a long time! I even noticed the effect on my non-swatching hand where the nails are a lot shorter at the moment. I mean, I really think this is lovely, and so fascinating to wear! Formula: It's buttery and smooth, and goes right where you want it, self-leveling instantly. It's sheer, but buildable, and I had opaque coverage (especially for the cold transition color) at three coats. The nail tips were a bit thinner, but that is just something that happens with jelly bases. Overall, very nice texture and easy to work with! Your swatches always makes each polish look amazing. Me neither! I love this so much! So much going on! Wow! I need this polish!